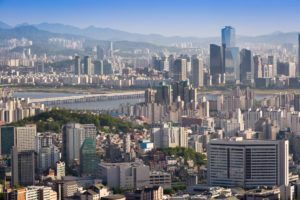 A lawmaker with South Korea’s ruling Democratic Party is attempting something that would have been unthinkable even one year ago in the socially conservative country — legalizing and regulating medical cannabis. Rep. Shin Chang-hyun introduced a bill to revise the Act on the Control of Narcotics to permit the use of medical marijuana. Shin is proposing to add cannabis to the part of the law that already allows patients to bypass restrictions against “narcotics or psychotropic drugs” provided that proper authorization is obtained for medical use. A representative from Shin’s office told Marijuana Business Daily that medical cannabis should be regulated like other medicines if it can be used to improve people’s health. The official asked not to be identified because of the sensitivity of the issue in South Korea. If the revisions to the bill are approved, patients would need a prescription from a medical practitioner plus permission from the commissioner of the Korea Food and Drug Administration to import MMJ on a case-by-case basis. Although the process would be cumbersome and expensive, it would open an avenue for patients to legally acquire medical marijuana. In the introduction to the revised bill, Shin said there’s demand for medical marijuana. Shin’s party has the most seats in the National Assembly – 121 of 300. The revision still faces an uphill battle. It’s currently in the Committee Review stage. South Korea’s law already allows scientists to import and export cannabis with permission from the Korea Food and Drug Administration.